Most of us already live in a world where voice minutes are moot. But what about a world where international long-distance costs don’t matter, or phone numbers are rendered completely irrelevant? All of these are relics of the circuit-switched copper phone network, and if AT&T gets its way those things could all go by the wayside. We’ll enter the VoIP future and drag everyone who isn’t already making Skype calls or subscribing to digital voice lines with us. On Wednesday, AT&T said it would spend $14 billion to boost access to its wireline and wireless networks over the next three years as it hopes to get out of running an old-school copper phone business. As Om pointed out, it’s the end of an era. But before we can move forward there are several issues that must be dealt with — from broadband and VoIP access for all to the role of the FCC, which will have to fight for relevance and regulatory power in an all-IP world. I think I was too hard on AT&T in my initial post on the topic, even though I did say I think moving off the PSTN (public switched telephone network) is the right thing to do for the company, and most of the problems associated with that move will have to be handled by the FCC. After reading its filing, talking to others in the telecommunications world and learning a bit more about some of the products it wants to offer, I think that Ma Bell is going about this in the best way possible. It has even taken proactive steps ahead of making this announcement to participate in an exchange that could become the model for how VoIP providers interconnect in the future. To understand what’s at stake here it’s worth thinking about how the old voice market is different from the IP world. They are fundamentally different networks, although almost all calls (even VoIP ones) end up touching the PSTN network at some point in time. And that means the legacy of the old phone networks are still with us. Things like phone numbers, long-distance charges and even charging by minutes, which could theoretically disappear in a new all-IP world. The old voice networks are regulated by arcane rules that require all parties to connect calls and in doing so they get paid. This was beneficial for consumers because otherwise Verizon (s vz) might refuse to connect a call from AT&T (s T), leaving the two phone subscribers unable to chat, but it also led to distortions in the market. This framework also led to the providers controlling telephone numbers (remember when you couldn’t port a telephone number, which means you may have stayed with a crappy provider for fear of having to tell everyone a new number?) and things like a minute of voice calling costing a hundred thousand times more than the cost of a minute of voice calling over IP. And as the world moved to VoIP, companies like Verizon and AT&T have to support two different networks, the IP network and the TDM network based on circuits. This is expensive, and that’s why AT&T would like to dump its obligations to operate and have a TDM network. So how can it do this? Given that telecommunications services are tightly regulated around the world and IP services (which in the U.S. the FCC classifies as information services) aren’t, AT&T is trying to goad the FCC into taking up the issue. But it’s not stopping there. AT&T is one of three companies that are part of VCXC, a non-profit organization that is trying to create the equivalent of an internet exchange point (IXP) for the VoIP market. It’s founder, Daniel Berninger, also founded Vongage and Free World Dialup and has said his goal is to change the voice market. He told me that so far he feels like he has failed, but with VCXC he thinks his time has come. Remember that the old-school voice market and the IP bandwidth markets are two separate markets? Well, the internet market has clusters of gear in offices and data centers around the country where different networks interconnect. These are called Internet Exchange Points, and they are a key reason that bandwidth is so cheap and they explain the redundant nature of the web. Berninger wants to create the equivalent of an IXP for the voice market via his non-profit that helps link the TDM and VoIP networks without getting the FCC and its rulemaking involved. Already AT&T, Bandwidth.com and Ooma, the VoIP equipment and service provider, are members of this VCXC exchange. The goal of the exchange is to establish rules and rates for VoIP interconnection, without each service provider having to negotiate with one another. The deals might look like this VoIP interconnection deal Verizon and Bandwidth.com signed last year, but would avoid the work of having to sign sperate deals with every single provider. It also will protect that traffic from the FCC’s regulations because it can be labeled as an information service as opposed to a telecommunication service. But this is a fraught issue for the agency. As we move to an all-IP world (and the FCC says this will happen in 2018) the agency will face questions over its authority to regulate the bits making up our phone calls. For a deep dive into this issue, read this post, but the short version is that the agency has very clear authority to make rules over traffic deemed telecommunications and murky authority over IP traffic. That’s one of the primary issues that Verizon is arguing in its court challenge of the agency’s network neutrality regulations — that the FCC can’t tell Verizon or any ISP how to manage its bits because that’s not its jurisdiction. As voice moves becomes an information service, the FCC has less say over how providers interconnect. At the same time the loss of the PSTN does create public-interest issues where the FCC should have a say. There’s the question of cell phone companies such as Sprint or t-Mobile that buy special access circuits from the carriers. It’s likely that’s rather have fatter IP-based services but in some areas they get the old-school circuits. The FCC will have to look at that. Another example is AT&T is expanding its LTE high-speed wireless networks to cover 300 million people, and in its call yesterday its executives explained how it will use LTE to deliver voice instead of the PSTN. Verizon is also delivering an LTE-based home broadband product in rural areas. But LTE costs a lot more than a landline and can come with data caps. The FCC may have an interest in making sure those costs are comparable to the landline phone for people who have no other choice, and that those networks are reliable. It’s unlikely that any LTE solution will be as reliable as the PSTN, but there are steps carriers can take at the base stations and towers to help boost the reliability of their service. If the FCC opens the docket on this topic as AT&T has asked, these conversations and many more will be debated as we move forward from the old analog-based calling world to our digital futures. Ooma has held my business number unportable to the carrier I have requested to switch to for 30 days. I still can not receive calls to my business and still no end in sight. I have over 5 trouble tickets with them and not one time has customer service EVER called me back. I have now ended service for my home with them and placed an FCC complaint. Still no resolve… not my idea of a good carrier. I wouldn’t recommend this service to my worst enemy… thanks ooma for KILLING MY BUSINESS. Tarataqa touched on the primary reliability issue. Not only a power outage, but a major EMP can fry the whole communication system, which means only some of the copper wire based system would still be possibly functional. Unless you have some kind of Faraday cage shielding everything from the major hubs to the phones themselves, you would literally be back to the Pony Express for any long distance communications. Only Genghis Khan and the USPS could actually provide that. Hopefully this won’t downgrade landline voice quality to the abysmal crap that is every cellphone I’ve ever used. Not to mention the nightmare of coverage maps, and the gawdawful *expense* of cellphones. Landlines are high-quality, ubiquitous, and inexpensive: if it ain’t broke, don’t fix it. The FCC never said the network would be all-IP by 2018. It was the Technical Advisory Committee (TAC) that suggested the FCC set a date-certain of 2018 to sunset the PSTN. But the TAC is not the FCC — it is only an advisory committee, and has no more authority over these matters than you or I. Interesting article, but your grammatical and spelling mistakes are distracting. “It’s” vs. “its” — come on. How about systems like Obihai? 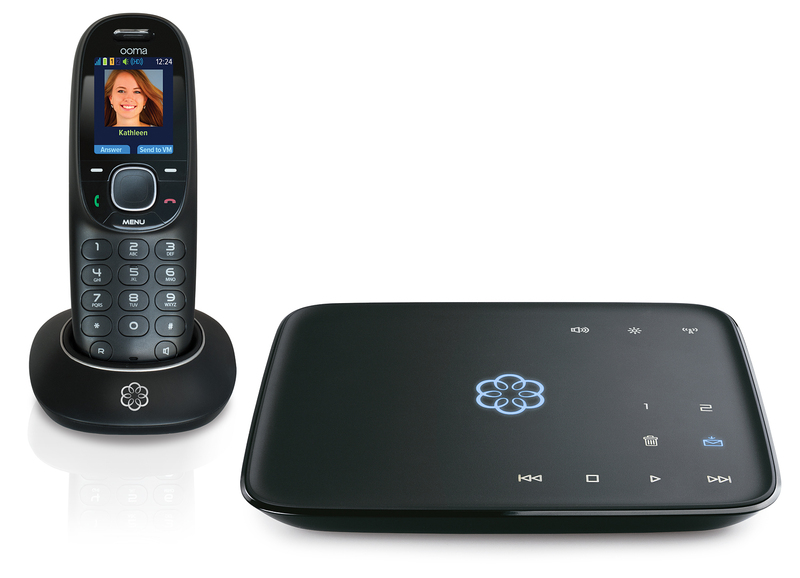 A far more flexible and affordable option to Ooma. The telephone line is still a good way to get your internet connection through. Yes. I thought that too, about the reliability aspect. It works exactly as you described. Not to mention the fact that the sound quality when I use my land line is much better than mobile, or maybe that’s because of the poor reception because of where I live. I work on the TDM and the packet switching equipment. In laymen terms, the difference is a bus, full or not takes the same space in the lane of the superhighway. Packets are compacted seats and travel the same route without empty spaces in the box. You only use the space needed by the contents of the bus/box. VOIP has to be converted to Time Division Multiplexing and the seats/spaces filled with nothing when the copper lines are used. That is the crux of the transmission. Cells are the automobile over the horse and buggy. Let’s go with the fiber and recycle the copper. How about a link to the FCC filing? The cheapest and best way to connect people in a fairly concentrated area is still to wire them (copper, coax, fiber…). Whether that connection is used to carry analog voice, TDM or IP is secondary. The costs will be recovered by subscriptions and/or usage/service charges. There is a smallish sweet spot in user density where wireless connections can make sense. Dense = wire; too sparse=too expensive. If you are in a too-sparse area enjoy your solitude, but you may have to build or pay for your own connectivity. Calls may become free(r) but you will pay for connection or access one way or another. This article is an excellent primer for those of us still learning about the advantages of an all digital network. Requiring AT&T to keep a TDM network that customers are leaving only means that increasing average costs on that network will have to be recovered in customer rates. The need to keep a grasp on voice via regulation is not worth the costs to investors, the companies, or consumers. You mean Vonage right? The reason I discovered this typo is that I immediately was curious what you had to say about Vonage so I did a text search on “Vonage” and was surprised not to see it mentioned. Then I saw the likely type. Cheers! The “It’s” is a typo too, it’s the possessive pronoun. Also, “Itâ€™s likely thatâ€™s rather have fatter IP-based services but in some areas they get the old-school circuits” wants a “they’d” in there somewhere. Special access circuits aren’t fat enough to backhaul LTE in any case. The transition from TDM to IP is going to hurt a lot of public interest advocates who’ve spent their entire careers regulating TDM. Perhaps a retraining program on IP will help them cope with the loss of livelihood. But actually a usage/bandwidth free model is the distored model. Carrying traffic requires resources and putting those resources in place costs money. Usage of those resources must be paid for, and any model other than pay by usage, simply shifts costs for heavy users to light users. It also leads to low efficiency when there is no penalty for poor efficiency. Except that I live in an area where there is no coverage. I get no bars at my house. That’s enough reason to move. Maybe the Wizard prefers clean air to smog! Smog is created in areas of high concentration of internal combustion engines and factories with smoke stacks, these are the areas that large communications companies like because their cost per subscriber is low compared to rural areas where cost per subscriber is high. I have no problem with paying a higher cost in a rural area but the problem is that the large communications companies are completely dropping service to low concentration rural areas.